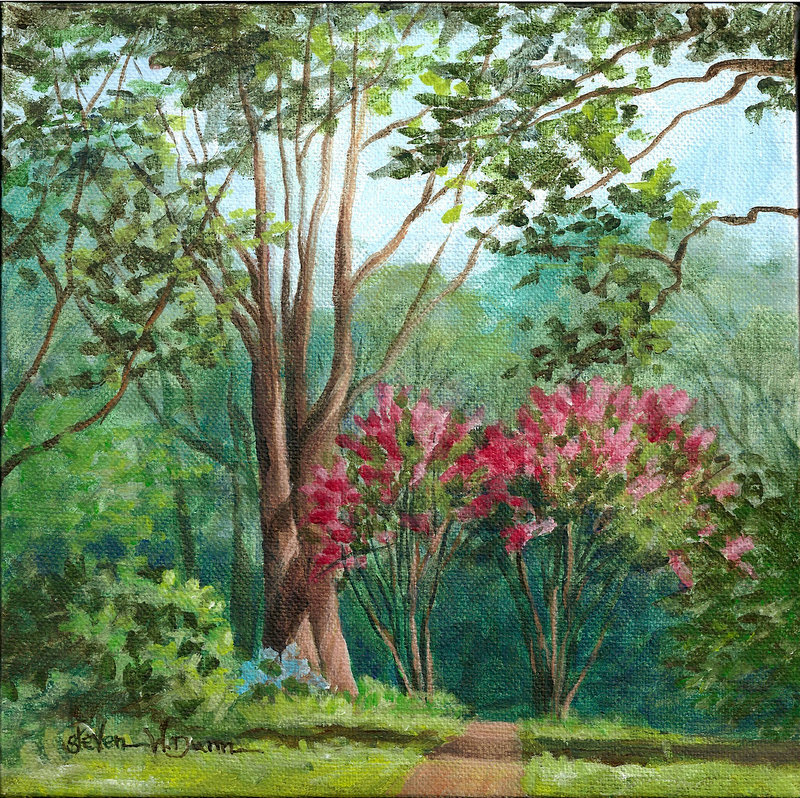 I painted this a couple months ago while the Crapemyrtles were still in bloom-one of my favorite mid-size blooming trees. They love our hot, humid summers here in North Carolina. 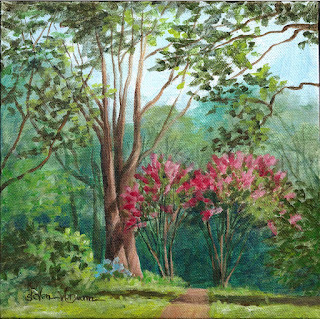 This is a lovely path in "Artum Garden" near where I live. There's a small pond with a little waterfall just to the right of this view. I posted a painting of it here on my blog this past December (2014). You can hear the refreshing trickle while walking down this path.